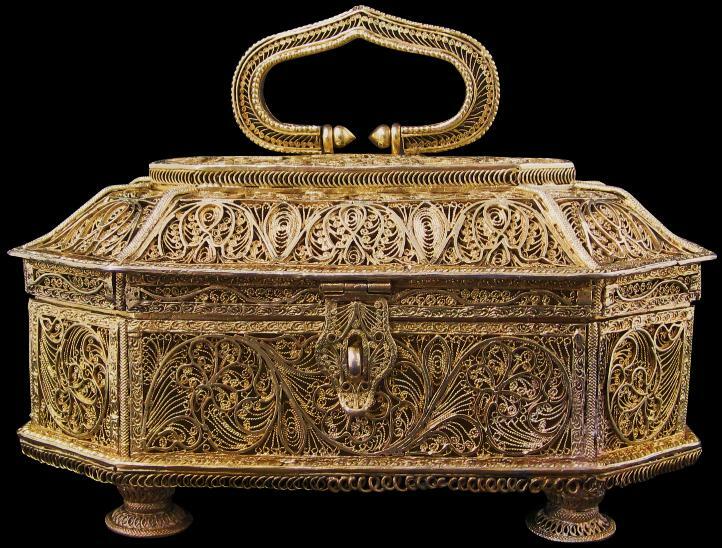 This elaborate gilded silver filigree casket is probably the work of a Muslim silversmith in Orissa. 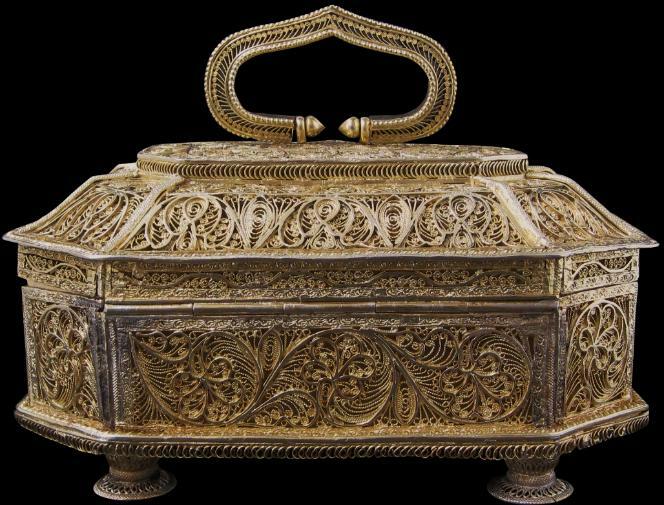 Probably it was intended for use as a jewellery casket or possibly as a betel nut (paan) box. 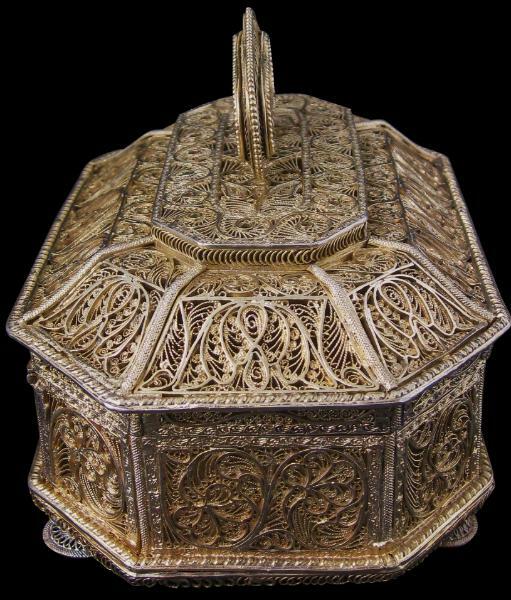 Each of the eight sides, the hinged, domes cover, the handle and the latch are entirely of gilded silver filigree work. The base panel is of a single, hammered sheet of gilded silver. 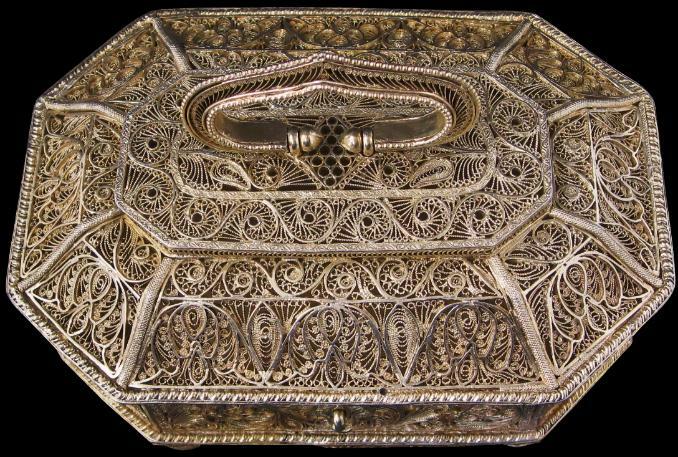 The filigree work comprises two types of silver wire: broader, flatter wire strands and thinner, twisted strands. 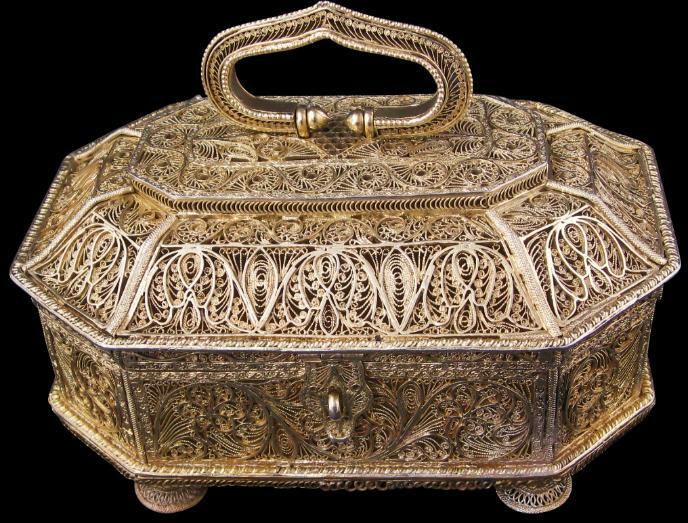 The wires have been carefully soldered in place to produce scrolling foliage and floral motifs infilled with fine filigree work, as well as borders of flower buds similarly infilled along the casket’s lid. 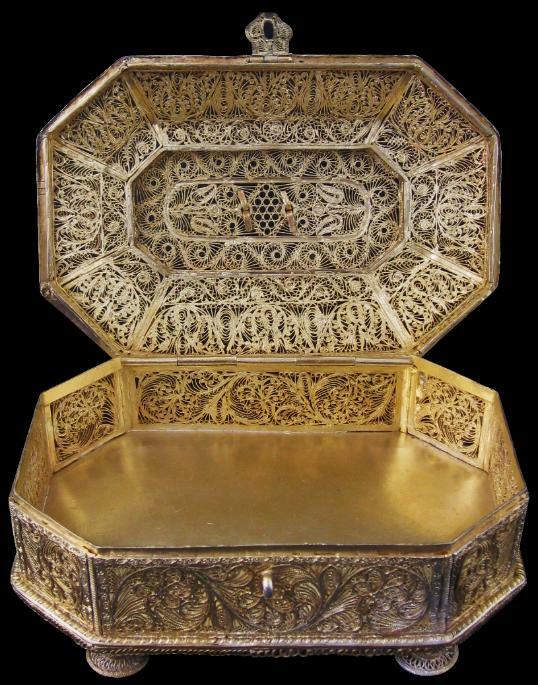 The four filigree pedestal feet which suggest an earlier dating, have ‘fish-scale’ edging in keeping with the edging applied along the main ribs of the casket and over the cover. The arched handle terminates with two lotus bud finials. Museu de Sao Roque, The Heritage of Rauluchantim, Lisboa, 1996; Rogers, J.M., The Arts of Islam: Treasures from the Nasser D Khalili Collection, Art Gallery of New South Wales, 2007; and Terlinden, C., Mughal Silver Magnificence, Antalga, 1987.